In the February 2015 issue of Prostate Forum, we feature conversations with Dr. E. David Crawford about the development of Firmagon and FSH’s potential role in cardiovascular disease in men on ADT for prostate cancer. Here’s Dr. Myers’s introduction to the issue. Download the issue to read the entire interview. Subscribe now so you don’t miss an issue! This issue is devoted to Firmagon (Degarelix) and the role that Dr. E. David Crawford has played in its development. We think Firmagon is a breakthrough drug, but too many oncologists and patients have failed to appreciate this fact. I hope this newsletter helps reverse this unfortunate situation. Before I get to the issue of Firmagon, I first want to make some comments about Dr. E. David Crawford and the important role he has played in improving the treatment of prostate cancer. I first started to concentrate on prostate cancer in June of 1987, seventeen years after my career started. At the time, I knew a lot about drugs and other areas of cancer research, but I was clueless about the nuances of prostate cancer biology and treatment. Initially, my only involvement was to test Suramin as a treatment for men with advanced disease and not the overall treatment of this cancer. For me, everything changed when David published his 1989 paper in the New England Journal of Medicine that tested Lupron alone compared with Lupron + Eulexin. This trial was and is important for by the FDA of Eulexin. The detailed data analysis in that paper completely changed my own views on prostate cancer treatment. Even today, close to 25 years after its publication, I find myself returning to the results of that paper. The first item that caught my eye was that a portion of men actually entered complete remission with hormonal therapy alone. Second, the larger the volume of cancer present when treatment started, the faster patients became hormone-resistant. Why are these observations important? In medical oncology, across all cancers, partial remissions extend survival between 3-6 months, rarely by as much as 12 months. Multiyear remissions or even durable complete remissions are only seen in patients who enter complete remissions. For the first time, a very well done randomized trial showed that men with metastatic prostate cancer have a chance at reaching a complete remission. The results also suggested that aggressive treatment would be more effective when used before the total cancer burden became overwhelming. Everything I have done since 1989 has been focused on increasing the frequency of complete remissions and then making these remissions durable. In cancer treatment in general, durable complete remissions are more likely when the cancer is killed off rapidly. If tumor kill is slow, there is time for mutations to emerge that make the cancer resistant to treatment. By 1974, this had already been shown for Hodgkins and nonHodgkins lymphoma, childhood leukemia, and testicular testicular cancer. In these cancers, it is definitely better to see the complete remission within the first 3-4 months. I have long thought that one of the major problems with prostate cancer was that our drugs worked too slowly. For example, Lupron and other LHRH agonists take 3-4 weeks to reduce testosterone to the range seen after surgical castration. When you compare that to the 3-4 month deadline for the other cancers we are talking about, you can easily see why we might have a problem with prostate cancers. Indeed, it is amazing we have done as well as we have. We now have some insight into some of the molecular events that might rapidly induce hormone resistance if tumor cell kill is too slow. Dr. Emmanual Antonarakis and his collaborators at Johns Hopkins University have shown how aggressive prostate cancers can rapidly start to produce androgen receptor splice variants that allow the cancer to grow in the absence of testosterone. (See Prostate Forum Volume 16 # 3). One rational approach to treatment is to kill the cancers fast enough to limit this problem. This is where Firmagon has a major advantage. This drug causes a very rapid fall in testosterone and nearly all patients have a castrate level within 72 hours. This drug cuts nearly a month off the time to full testosterone suppression. As Dr. Crawford outlines below, the drug also suppresses the production of follicle stimulating protein (FSH); this may play an important role in improving cancer control. The combination of rapid testosterone suppression and the addition of FSH suppression offers major theoretical advantages. With these advantages, I think it is really nice that Firmagon also seems safer, especially in terms of cardiovascular risk. Why have many urologists and medical oncologists been hesitant to embrace what seems to me to be a drug clearly superior to drugs like Lupron, Eligard, Trelstar or Zoladex? I think the biggest issue is that many men experience pain and inflammation at the injection site. The truth is that this problem can be minimized if the drug is administered according to the instructions in the package insert. Unfortunately, in many busy clinics these guidelines are not followed and the patient suffers. We have found when the injections are done properly this problem is uncommon. The second issue is that the drug needs to be administered monthly, while Lupron and other LHRH agonists are available in 3, 4 and 6-month formulations. There is even a 12-month form, Viadur. My personal reaction is that our goal is rapid induction of a complete remission. Given the rules of that game, Firmagon has huge advantages over its competition when the goal is rapid remission induction. LHRH agonists will just not get us there. 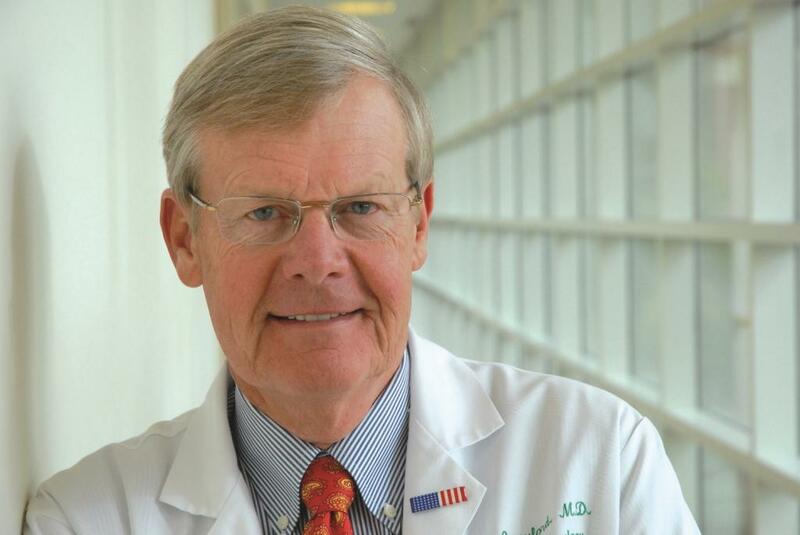 I think it is also important to note that Dr. Crawford has played a key role in two landmark developments on the path to durable complete remissions in metastatic prostate cancer. As you read the conversation below, I think you will see this has not been an accident, but a direct result of how he takes the biology of this cancer and thinks through the therapeutic implications.